The Hurley is getting lots of different types of traffic as you can see from the latest driver update below. The road is plowed narrow so please drive slow and stay on your side of the road. If you have a radio they are using Resource Road Channel 19. It is illegal to snowmobile on a plowed FSR road. We are also looking for some feedback on the mudslide repair, is it adequate or do drivers think it will need more repairs etc. Current conditions may not be reported on this site. 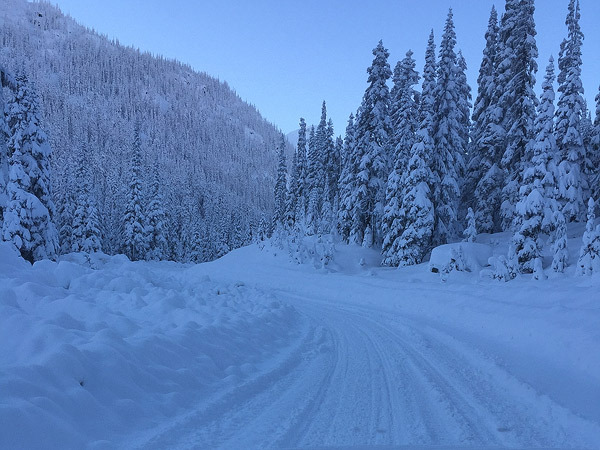 This site is based on Hurley driver updates so please email new road conditions to info@bridgerivervalley.ca or post in the comments below. If you choose to drive the Hurley at this time of the year, you may be sharing the road with logging trucks and other heavy machinery. Be prepared to experience all kinds of weather and winter driving conditions. Winter driving skills, 4 x4, chains and good snow tires are essential for travel. A survival/safety kit are good things to carry in your truck. Conditions can change fast at anytime up there with the fluctuating temperatures & weather. Dec 6 Update: -14c at the summit. Grader still working and snow road is in great shape. Pullouts cleared where possible. 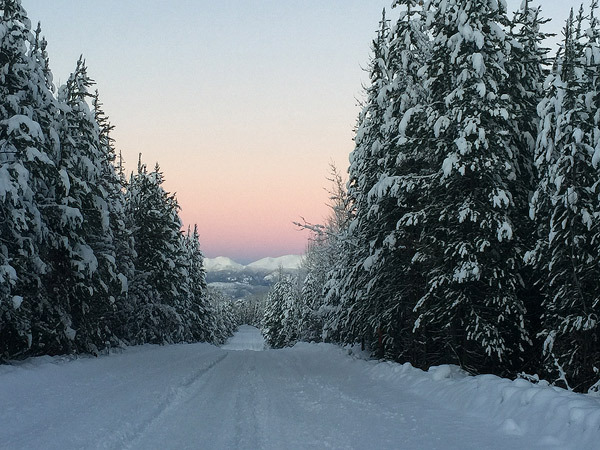 Late afternoon/evening is the best time for travel with no logging trucks. Any word on the need for High clearance in the slide section? The Pics from Nov 28th look much better than when I was last there on the Nov 25th. Also technically this was a debris flow, and not a mud slide – but folks can call it what they want. 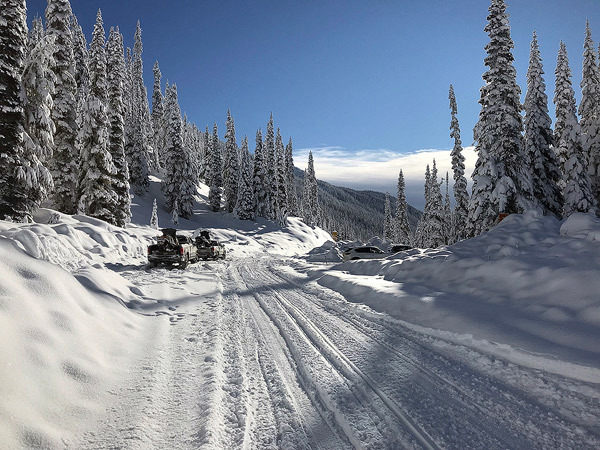 (3) A person must not operate a snowmobile on a forest service road if it appears that the road has been snowplowed, or that the road is otherwise fit for travel by motor vehicles other than snowmobiles.